A coalition of 14 groups including the Australian Communications Consumer Action Network (ACCAN), the National Farmers' Federation (NFF) and the Isolated Children's Parents' Association has been launched, ready to take shots at internet drop outs, low data allowances, poor speeds, and a lack of National Broadband Network (NBN) connections. ACCAN chief Teresa Corbin says there is a “massive level of frustration” outside the major cities. “Every day people struggle to get the connectivity they need and the amount of data they need,” she told ABC reporters. “It's not just for entertainment and fun, it's to actually live and work. The group has outlined priority areas, including a universal service obligation (USO) that would ensure all households and businesses have access to data. 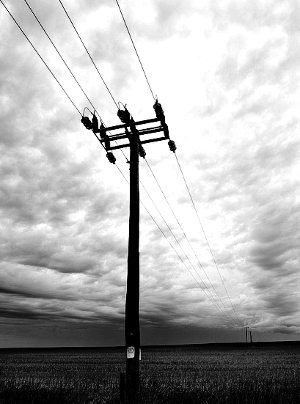 Current laws only require a standard telephone services be supplied across Australia. “Ultimately, we want the universal service to cover standard telephone services and the internet,” Ms Corbin said. Other coalition members include the Broadband for the Bush Alliance, NSW Farmers, Cotton Australia, the Country Women's Association of NSW, Better Internet for Rural, Regional & Remote Australia, AgForce Queensland, GrainGrowers, the Northern Territory Cattlemen's Association, the Victorian Farmers Federation, Rice Growers of Australia and the Australian Forest Products Association.